False Appearance of Cloud by Means of Promotive Ads. Does it sound closer to Origin of Species by Means of Natural Selection? Yes, both has good and bad points. Manslaughter is also a way for forced “Natural Selection”. But it is beyond the question of being really socially acceptable. Any good thing, usually get noticed by the mankind, whatever it is; bad usually get eliminated. Previously we published an article named Weaker Sides of Cloud Computing, False Appearance of Cloud is created by the Providers to hide the weaker points. Generally it is accepted that, cloud computing saves the IT costs. Nothing can be luxurious to the end consumer when good things are said to be sold at cheaper price. This is true for any country. The key data are clear and leave no doubt at first glance, for example; at eight U.S. cents for one hour one virtual server can be used and the money is little beyond doubt. But, think about Software as a service. Microsoft claimed that, based on the scale of economies and the associated favorable purchasing conditions and an improved technical operating; the larger resource pools in the public cloud installation is superior to the traditional business model. Logically it is agreeable that, Cloud benefits in terms of workload adaptation both in the times of high and low capacity utilization. The practical fact is – Not the cost of the cloud makes it cheaper itself, but the synchronization of the users’ resources makes it possible. That simply means, if you have rented 7 rooms and your friend 5 rooms; but you use 3 rooms and your friend asks for 9 rooms, unknowingly one of your unused room is actually getting used. It is very crude example, but this is the actual model. This is acceptable as practically the ‘snatched room’ does not create any problem, usually. Also, the providers gives a kind of warranty, that you have 7 rooms reserved. In any case, if you need 7 rooms, you will immediately given 7 rooms. Ultimately if you think very carefully, the number of rooms has a limit. Every physical thing has a limit in some measurable unit. As most rents more rooms than needed, the mentality is actually exploited. Otherwise a Virtual Private Server would cost the same as a Cloud Server. Basically, the more intense and more cloud services are used, the more expensive it becomes. $99 per SaaS solution appears to be attractive, with five users, the invoiced amount get lessened. But with 500 or 1000 users a cloud based CRM application throws a hefty bill. Additional costs arise when the CRM solution is used with additional modules for support staff or product management. As the word used is Cloud, the managed level becomes more costly. Eight cents per hour for a cloud server is low, as long as the service is only for one hour. Continuous operation – and that is the rule in many fields – more expensive to use. Here, also add add additional costs, such as load balancing, storage, security, monitoring, etc. Often, services such as spam filtering, middleware installations and databases are required. 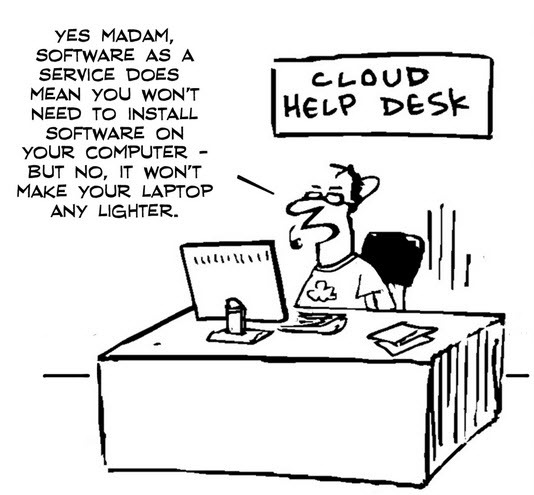 Understanding the Cloud Computing Service Models is important. The false appearance of the cloud will become quite pathetic to you, if you do not understand a basic thing – it is actually the PaaS which is profitable for the low usage but IaaS is basically designed for medium to high usage as the need was for a data center or colocation server but the cost got reduced. It is a fact that, no company will say that the Cold Cream is nothing but a version of the ordinary cream with some added things. Cloud Computing providers invests a huge, abnormally high amount of money in Google AdWords. The CPC is so high, it will make anyone aware that; the revenue is quite high, more than the traditional web hosts. This Article Has Been Shared 753 Times! Cloud Computing XaaS is an approach towards everything to provide as a service to make available and consume like we use electricity.Read the important aspects. Cloud computing as a solution to the delivery of virtual desktops and applications in the corporate, academic and research purposes becoming more useful. Multiple Server OpenStack Swift Installation appears a bit confusing to the new users who wants to create an cloud instance for storage. Here are some tips. Capabilities required by the professionals in the era of Cloud Computing is not limited to IT sector but it includes the Health, Law and other professionals. Cite this article as: Abhishek Ghosh, "False Appearance of Cloud by Means of Promotive Ads," in The Customize Windows, March 27, 2013, April 20, 2019, https://thecustomizewindows.com/2013/03/false-appearance-of-cloud-by-means-of-promotive-ads/.